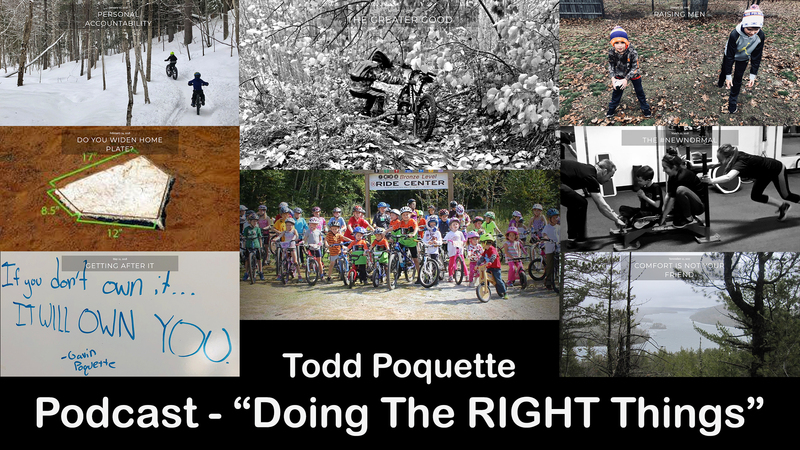 I had Todd Poquette back on the podcast to talk about what the whole “Doing The Hard Things” means, which spawned the title “Doing The RIGHT Things”. Todd shared a lot of great thoughts and gave us some insight into how and what is happening with the 906 Adventure Team. Todd also shared a very personal story that he hasn’t shared with too many people, but thought it would offer some insight as to why he does what he does. Listen to the whole thing, there is something there for everybody.